Earlier this week, a study out of the University of Pennsylvania confirmed what the magical meme producers of the internet had known for months: Donald Trump is basically Voldemort. University of Pennsylvania Professor Diana Mutz, the author of the paper titled Harry Potter and the Deathly Donald, found that people disliked Donald Trump 2 percent more for each Potter book they’d read, even after controlling for political party affiliation and a number of other demographic factors. So we called her up to ask how she decided to research He-Who-Should-Not-Be-President, what her findings mean for our great nation, and why political science is only just starting to pay attention to fiction. 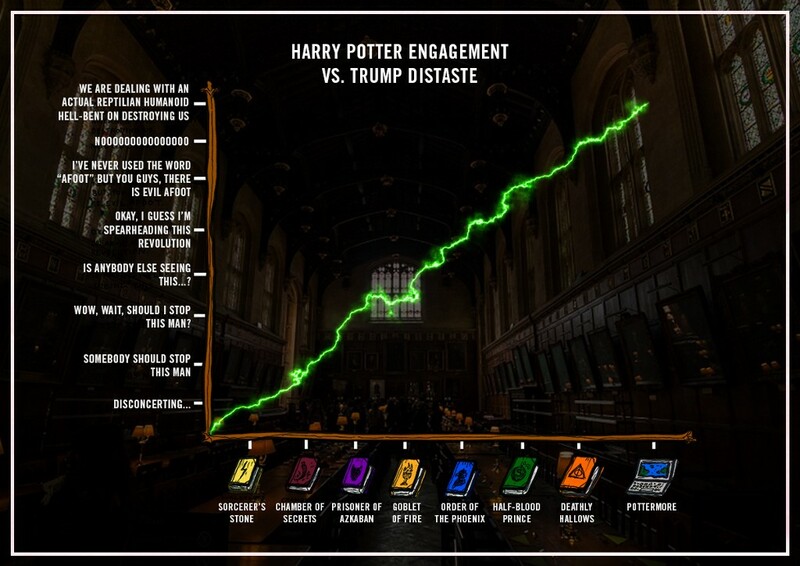 In early 2016, it became clear that we had data on how people felt about Donald Trump, and also had data from the same respondents on exposure to Harry Potter. Given all of the publicity surrounding his being similar to Voldemort, it struck me as an opportunity to look at this in the real-world context. So it’s more of byproduct of your other work? Right, we’ve been running a panel study since 2007, tracking people’s political views for a long period of time. The goal is to see how attitudes are changing — was there already this kind of anti-foreigner attitude out there that Trump came to capitalize on, or is he leading public opinion in that direction. So we were already measuring things like tolerance. How do you measure tolerance? The questions are in the appendix — we ask should terrorists just be shot, basically, things like that. Have you studied the impact of fiction on politics before? Yes, I worked on a publication on how Law & Order influences people’s attitudes towards criminal justice. 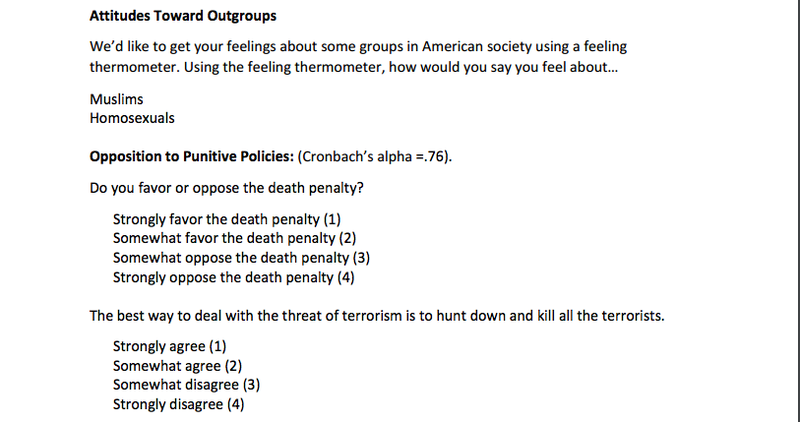 We did an experiment where we’d show people episodes where they got the wrong guy, and found that when that happened — and it doesn’t happen a whole lot in crime dramas — they actually change their attitude towards the death penalty and criminal justice system. Is this something that political scientists look at often? On the one hand it seems kind of silly, because it’s just half an hour of fiction for heaven’s sake, but what it does is it raises possibility in our mind that it happens in the real world as well, which makes us less confident in the criminal justice system. But we as political scientists don’t often think about the fact that most people don’t watch any political programming. For most people television is about fiction, and we tend to think of that as just fiction, with no political ramifications. We don’t think of it as fair or unfair or politically biased, just art it is and it’s entertaining. That seems a little strange, honestly — the idea that fictional TV shows and books and movies are inherently political is the basis for a lot of literary and cultural criticism, and a huge chunk of the internet. If political science is just coming around to this, what does it really add to the discussion? Yeah, I think it’s out there, and people make a lot of arguments, but a lot of time they’re dismissed as complaints. You know everyone wants their views to be portrayed on top in the media, and there’s little evidence out there that it actually makes a difference in people’s real-world political views. So in a lot of ways producing evidence like this makes that discussion more important and worthy of attention. Is the goal of this kind of research to be able to predict how fiction impacts politics, so that it can be somehow regulated? Or what’s the endgame, here. We don’t have those kinds of goals — as a social scientist, I try to understand the world and how it works. We’re not activists trying to tell people how it ought to work. But I think when people become aware of these dynamics, that changes the way they behave. When producers become aware that stereotypical portrayals of minorities on television are bad for interracial relations, they care about that and do become mindful of how they portray minorities. You see that going on with how muslims are portrayed in the media these days — even if we aren’t doing social engineering, it does bring it to people’s attention.